For those of you who don’t know, a Viennese Table, is traditionally, a beautifully displayed assortment of delicious desserts, rolled out on buffet tables at the end of a lavish dinner meal, most often at weddings. It’s a long story, but people often ask me how I started my cheesecake business. Food has long been an obsession of mine. I love to read cookbooks and magazines and I would invite over a couple for dinner when I had a full menu of recipes I wanted to try. I was passionate about baking, and I used to bake to fill my freezer so that I would always have something homemade to serve or send to a friend when I so wished. And so it happened, that in the early 1990’s, my father wanted to invest in a business where his 2 daughters and a daughter-in-law would have work. His idea was a mail-order business, where all we had to do was find a product, advertise it, and boom! the orders would come rolling in and we’d ship them out. We took time deciding on a product and finally ordered thousands of boxes of lucite picture frames – each box was an assortment of 20 frames in different sizes. We figured any home could use that! The product was a disaster, and we lost a lot of money very quickly. After that we were more cautious and I thought that I’d like to make a food catalog, preferably all chocolate. 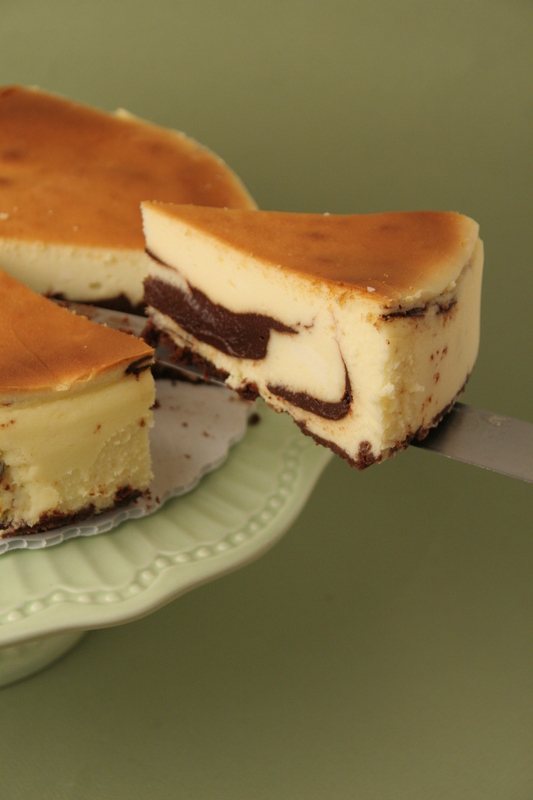 The first recipe we tried was a cheesecake marbled with hot fudge sauce. We measured and prepared all the ingredients on the counter, made the fudge, prepared the crust and the batter, combined it and put it in the oven to bake. Then we started the clean up and realized we had left 3 ingredients on the counter! When the cake came out of the oven, and cooled sufficiently, we tasted it. It was the best cheesecake I had ever eaten and thought that we must sell this cake! Till today, whenever I make the cake, I can’t decide whether to put in those 3 omitted ingredients, or leave them out on purpose! 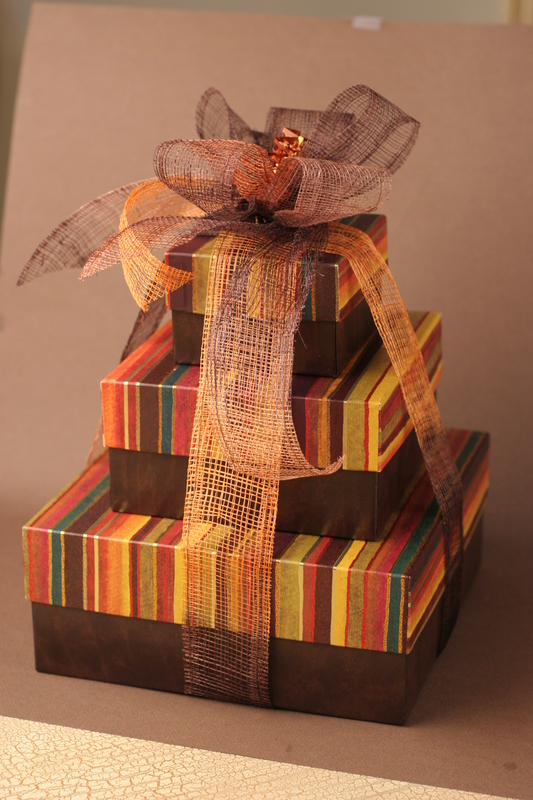 I won’t bore you with the details of getting a business off the ground, mostly by word of mouth, and by giving away gift-wrapped delicacies to potential customers (aka “the right crowd”). We got our “big break” one “short” winter Friday morning, during the Holiday Season, when the mortgage company my brother is a partner in, called and ordered 13, 3-layer gift baskets to be delivered to their office in Brooklyn by Monday morning. We were so excited to get a respectable order BUT, we were not prepared! I now had to bake 13! cheesecakes, we had no packaging, no ribbon, no ingredients, not to mention a minimal amount of baking pans, and nothing to put in the other 2 gift layers. The adrenaline started pumping and we got to work! We were all scheduled to go to my parents in Brooklyn for the weekend, so we took whatever we could gather from Lakewood and would do the rest of the work on Sunday. We got the job done, and with great feedback, the business grew from there. Slowly but surely, my sister and sister-in-law pulled out of the business and found greener pastures elsewhere. I am forever grateful to them for helping me start and get The Viennese Table off the ground. 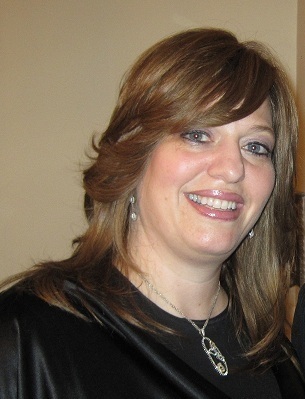 I currently live in Lakewood, NJ with my husband, Naftali, also in the retail food business. We have 6 children and 2 grandchildren (under the age of 6 months) bli ayin hara. As the owner of The Viennese Table, I wrote a monthly dessert column in Esra Magazine for many years. The Viennese Table primarily markets dairy pastries and desserts to the Kosher consumer. We use only the freshest and finest ingredients available producing a superior product. Inquiries and orders can be called in to 732-364-8969. Rivky, Wishing you lots of luck! Your products are great, many people have gained many pounds eating your delicious cheese cakes!! wishing you and your family a k’seeva v’chasima tova! My best to you and yours! Your food is amazing!!! We love the Viennese Table! Cant wait to try the recipes. I have nothing on you Blumie, You potchke and produce a lot more than I do! We look forward to hosting you on a Friday night when they get longer! amazed how you do it all! Bobby would have been real proud!!! A Gmar Chasimah Tovah! I follow your blog regularly. The first recipe I ever made from you was the cheesecake from The Dairy Gourmet. I’m looking forward to making your cheesecakes for Shavuos! Kudos to you and your family for starting this business. Good to hear you are still running it today. I am doing research and trying to figure out how to get my baking adventures off the ground. Graduated culinary school last May, work full time as an engineer but trying to transition myself into a career baking, not easy but I won’t give up. Any advise for an upcoming baker who is trying to startup something successful?